We are counting down the days until our welcome back celebration at the Grey Horse Tavern on 10-19-17! We are very excited to have the support of so many local businesses. 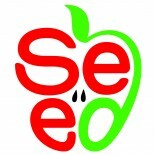 Please join us in supporting SEED’s mission in cultivating outstanding education in BBP schools. You can register online by visiting the link to the BBP SEED website below or pay for tickets at the door. And several more to follow. If you are interested in donating a raffle prize, please contact Kate at farleykate@hotmail.com . This entry was posted on September 30, 2017 by SEED Info in Uncategorized.